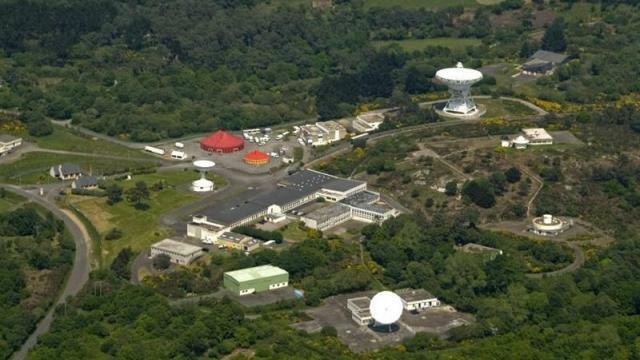 This picture shows a current view of the last three remaining antennas still standing in the historical telecommunication park, Pleumeur-Bodou, France. On the left, PB8 (13 m), on the right PB3 (30 m). PB5 (16.5 m) is a polar mount antenna (bottom). One can notice (right of the picture) basements of dismantled antennas.